New products Listed and available. 1/4 inch plug source end, Cardas rhodium is standard, options from Cardas no longer offer gold. 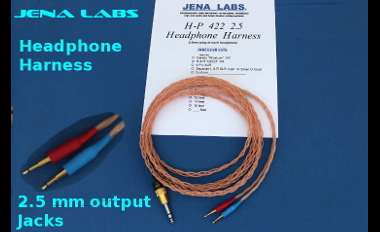 H-P 422 ready for DIY install into your headphones. 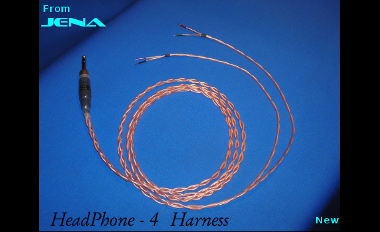 Finished harnesses, fully assembled and terminated, ready to plug into the appropriate headphone equipped with mating connectors. 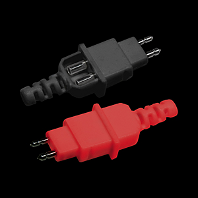 Sennheiser Ready tips - Cardas® Manufacture. 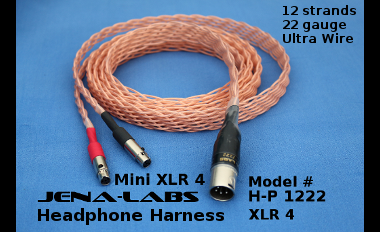 Note: We will not make a harness for the Sennheiser HD 800 headphones with the specialized micro connector that is designed for 28-30 gauge micro-wire. NEW product - prices coming soon. Here are my impressions of the new star in the house Audez'e, an exceptional headphones - I think. For me personally, to not take long to beat around the bush, the exact headphones in general. 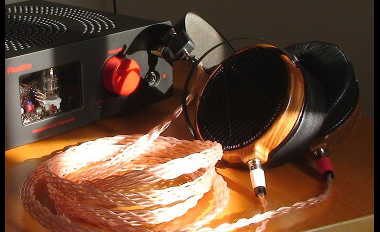 What I had spoiled me by the LCD-2 required to increase quality, met not one, but was surpassed!